Due to the worldwide prevalence of farm workers dying or becoming ill and unable to work and support their family, the scientific community has begun taking a closer look at what is causing the diseases and illnesses affecting them. All along, the pesticide manufacturers have been doing their own testing, but independent laboratories started doing tests to find out just how toxic these chemicals really are. In light of the fact that the affected farm workers suffered—and continue to suffer—irreversible damage to their health, their plight has engaged the world to investigate just how wide-reaching the devastating effects of pesticides really are. Pesticides are designed to kill a particular pest, which could be plant, insect, fungus, rodent, etc. Some are broad-spectrum killers, while others are more specialized. They are developed and tested in a laboratory to be effective. So right off the bat, we know that pesticides are a form of poison. Across the world, approximately 5.6 billion pounds of pesticides are used each year. They include herbicides, insecticides, fungicides, rodenticides, algicides, miticides, plus a few others. With so many pesticides being used worldwide, the entire earth is being impacted. Primarily, we think of coming into contact with pesticides through the food that we buy. But due to the billions of pounds of pesticides being sprayed and dusted onto plants, and in and around our home, pesticides are being found in the soil, in the water that we drink, and in the air that we breathe. Unfortunately, you will never know all the pesticides you come into contact with. But you can be assured that foods that are not grown, processed, and handled organically likely are contaminated with pesticides. And the water that you drink, even bottled water, also likely has pesticides in it. 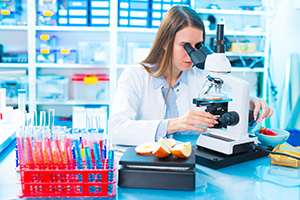 Laboratory testing on the pesticides currently on the market proves that these poisons do cause health problems and even diseases that sometimes lead to death. Studies have determined that even ultralow doses, over time, are dangerous, and that the safety levels set on these pesticides are too high. Two of the most common pesticides used in the world in the production of food are atrazine and glyphosate. Atrazine is a known hormone disrupter. When hormones in the body don’t function properly or their levels become either too high or too low, problems with the thyroid gland and reproductive organs, for example, can occur; it has been banned by the European Union since 2004. Glyphosate is a known carcinogen, which means that it causes cancer; the list of countries banning its use is growing. Organophosphates are also widely used; they are known to cause neurological problems, especially in children. Another pesticide that has irreversible effects on children is chlorpyrifos. Chlorpyrifos causes neurological damage which leads to developmental delays, learning deficits, and lower IQ levels. A commonly used pesticide around the yard on lawns, as well as in agriculture, is 2,5‑dichlorophenoxyacetic acid (usually called 2,4‑D). 2,4-D has been proven to cause fertility problems, is a hormone disruptor, and causes birth defects. Propazine, simazine, desethylatrazine (DEA), and desisopropylatrazine (DIA) all cause reproductive and developmental damage to unborn fetuses. A widely used class of insecticides called neonicotinoids has come under fire for killing untargeted insects such as bees, butterflies, and other important pollinators. Over one third of all produce depends on these pollinators; so much so that many countries have banned the use of these products. What is not considered in the development of pesticides is that many of the very same biological processes that are attacked and destroyed in the target plants, insects, fungus, etc. also exist in humans, our pets, and the rest of nature. When pesticides enter your body, numerous things happen. While it is the job of your liver and kidneys to flush these toxic pesticides out of your body, they can easily become overwhelmed. It is the function of the liver to take nutrients sent to it from the digestive system and send them out into your blood to fuel every cell in your body. It also removes from your blood all the waste that ends up there from your cells, infection, toxins, etc. From there, the liver sends the waste to the kidneys and intestines. If the liver or kidneys are overwhelmed with too much waste, those organs remove what they can and recycle the rest, sending the waste back through your body. If your intestines are not able to rid your body of waste effectively, some of the toxins are sent back into your bloodstream. In an effort to lessen the toxic load on the liver, it will send some of those toxins to your fat to be stored out of the way. This means that they will stay in your body and continue to accumulate until such time as the liver has the ability to effectively remove them. Since fat makes an effective storage place, your brain and nerves are especially vulnerable. The composition of the brain is 70% fat, so it potentially can store a lot of toxins. Toxins stored in brain matter are very hard to remove, which is why neurological problems such as Alzheimer’s disease, dementia, and other brain disorders are hard to treat and are rarely reversible. Another modality though which pesticides affect us is our digestive system. 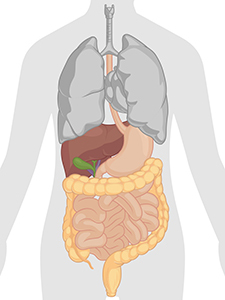 When contaminated foods and drinks are consumed, damage to the intestinal lining occurs. The friendly flora that are so vital to proper digestion are killed as well. It is the job of the friendly flora (probiotics) to finish breaking down the food coming from the stomach, and to remove the nutrients contained in the food that our body uses for fuel, cell repair, and cell generation. Without a healthy digestive system, the body cannot maintain health, and disease will begin to manifest. This may begin to show up in subtle ways like indigestion, gas, bloating, weight gain, skin rashes and blemishes, insomnia, fatigue, headaches, lack of energy, etc. There are many ways to come into contact with pesticides. If you have to use pesticides around your home, be sure to wear gloves, cover all exposed skin, and avoid breathing in the vapours. Always protect children and pets, even after the pesticide has dried. Choose natural options such as orange oil, diatomaceous earth, and homemade remedies when possible. Pesticides are not just on our fruits and vegetables; they are also in our meats and milk. Pesticide-containing feed is given to the animals that end up as our food, and either the pesticide is passed on to us, and/or the health of the animal is compromised, leading to more problems for us. Runoff from fields contaminates the surrounding soil and ground water. Nearby streams, rivers, and lakes become a collection point for pesticides that poison fish and upset the ecological balance. We see extremes of this when there is a major fish kill or algae bloom: both of which are devastating to the body of water and surrounding environment. Pesticides have been found in rainwater, which means that areas not previously affected by pesticide use is now being affected. Water carried by clouds can be carried a great distance from where it originated. Probably one of the most insidious ways that we come into contact with pesticides is through our drinking water. With so many chemicals existing in the water as it enters the water-processing plant, current regulations for filtering and testing fall shamefully short. The only real way to guarantee that the water is pure is through distillation, or through a process called reverse osmosis. When water is distilled, it is heated to a vapour and then collected and cooled; this process removes all solids from the water. Reverse osmosis removes all microscopic solids and ions from the water by forcing it through a filter under high pressure. Both processes create water that has a pH of around 5 and is devoid of any minerals. Some reverse osmosis systems can add minerals back into the water. Water without minerals should not be consumed for long periods of time. Unless your water is purified through reverse osmosis, it could very well contain pesticides. And don’t just think about the water that you drink, but also the water that you bathe or shower with. Much reform needs to take place worldwide before our food, drinking water, soil, and air we breathe are no longer contaminated to the point that it is impossible to avoid dangerous and toxic chemicals like pesticides, but until then being an educated consumer making educated choices is a must. We owe it to ourselves, our children and families, and all future generations who depend on this earth to live healthy, vibrant lives. By buying organic foods as well as pure drinking water, and using natural alternatives for pesticides around your home, you will greatly reduce your exposure to dangerous pesticides. By making a commitment to invest in your health, you will be guaranteed to be spending less money on health-care and have more time and energy to do the things that you love. Alavanja, M.C.R. “Pesticides use and exposure extensive worldwide.” Reviews on Environmental Health. Vol. 24, No. 4 (2009): 303–309. Office of Environmental Health Hazard Assessment. Atrazine, propazine, simazine and their chlorometabolites DACT, DEA and DIA listed effective July 15, 2016 as reproductive toxicants. · http://oehha.ca.gov/proposition-65/crnr/atrazine-propazine-simazine-and-their-chlorometabolites-dact-dea-and-dia-0 · Updated 2016‑07‑15. Coleman, P. Gut-wrenching: New studies reveal the insidious effects of glyphosate. · https://www.cornucopia.org/2014/03/gut-wrenching-new-studies-reveal-insidious-effects-glyphosate/ · Updated 2014‑03‑26. Douillard, J. “Remove toxins from your fat cells.” John Douillard’s LifeSpa · http://lifespa.com/remove-toxins-from-your-fat-cells/ · Updated 2015‑10‑15. World Health Organization / International Agency for Research on Cancer. IARC Monographs Volume 112: evaluation of five organophosphate insecticides and herbicides. · http://www.iarc.fr/en/media-centre/iarcnews/pdf/MonographVolume112.pdf · Updated 2015‑03‑20. Majewski, M.S., et al. “Pesticides in Mississippi air and rain: A comparison between 1995 and 2007.” Environmental Toxicology and Chemistry. Vol. 33, No. 6 (2014): 1283–1293. Greenpeace. 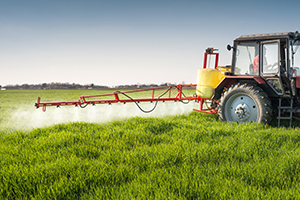 Pesticides and our health: A growing concern. · http://www.greenpeace.org/international/Global/international/publications/agriculture/2015/Pesticides-and-our-Health.pdf · Updated 2015‑05‑12. Environmental Working Group. Press release: Updated tap water databases and drinking water quality analysis. · http://www.ewg.org/news/news-releases/2009/12/09/press-release-updated-tap-water-databases-and-drinking-water-quality · Updated 2009‑12‑09. Richard, S., et al. “Differential effects of glyphosate and Roundup on human placental cells and aromatase.” Environmental Health Perspectives. Vol. 113, No. 6 (2005): 716–720. Thomson, J., CBC News. Special Report: Bee researchers raise more warning flags about neonicotinoid pesticides. · http://www.cbc.ca/news/technology/bee-researchers-raise-more-warning-flags-about-neonicotinoid-pesticides-1.2644354 · Updated 2014‑05‑20.